Google Analytics is the best know freeware that allows users to enjoy enterprise level features for zero expense. So if you are a small business with limited funds, be sure to check out Google analytics at least once. This has been used by quite a number of small and big enterprises that specialize in SEO and digital marketing. The reports generated by Google analytics are perfect for data geeks who love to see their sales spike through the charts. The holidays are neigh and so are the glory days for all online stores and service. From pest control to weight control, every kind of service sees a spike in their business every holiday season. So before you kick off your work boots and settle on your couch with that mug of eggnog, check out the 4 blissful analytics reports we have prepared for you. This is the easiest one and also the most rewarding one in our list. We will give you a step by step guide to creating this one. You can instantly create an organic report for each month. If done correctly, the Metric Groups should read “sessions”, “goal completion” and “goal conversion rate”.In Dimension Drilldowns, be sure to select “month of the year” and in the filters always select “medium”, “exact” and “organic”. This should give you a monthly comparison of all data that you can then use to identify the trends and patterns year after year. The fear of the loss of organic traffic is very real. While sometimes the dip in traffic and sales is due to a lull season, at other times it can be because of new campaigns launched by competitors that attract the website traffic. Surely, the better option is to check the data in real-time. But it’s Christmas, what the heck! You deserve some yuletide cheer to cheer up your sales team as well! Repeat this step for eventAction, eventLabel and eventValue as well. Then go back to Tags > New > Google Analytics. Then under the same tag follow Triggers > Custom Event > give it a name and switch on your scroll tracking options on Google analytics. Are people following you online? Are they reading your content? Are people at all interested in your products? Is the 100% guaranteed SEO plan working for your site? You can answer all these questions with the Scroll Depth Tracking reports from Google analytics. Knowing the Scroll Depth can help you structure your website according to relevance and prioritize the information on your website according to what people are actually looking at. If you want to pair it with pageviews, advanced click tracking and bounce rates you can easily set that up too with micro conversions in coordination with Google analytics. This is quite small and easy as compared to the previous ones. You can easily use Google analytics to identify your micro conversions and it definitely varies from site to site. This is especially recommended if you have newsletters, cart functions and downloadable elements in your website. Set up your goal descriptions to begin the process of tracking. Include destination, duration, event and verify the goals to watch the numbers roll. These are the small factors that help you guide your followers and buyers down the conversion funnel more precisely. After you get a good idea about the workings of micro conversions you should start assigning dollar values to them. Once you have the conversion rate, you can easily estimate the profit you make from each sign in. Generating a landing page traffic report gives you a holistic idea of how your WebPages are performing in general. This is a much comprehensive report as compared to the individual keyword data. You can check your bounce rate and click through rate. You can use the Landing Page as your primary dimension while constructing this report and use the Page Depth as your secondary one. You will be catered with an even better view of the pages that are pooling in all the high quality traffic. So, you know what’s to be done already. It’s that time of the year when people go crazy trying to fit everyone on their Christmasshopping list and it is your golden opportunity to litmus test your website. So take the plunge and enjoy the perks of a stellar, free analytics tool that comes with this season. Guest article written by: Anna Watson talks about the different types of reports that can be generated using Google Analytics to test that100% guaranteed SEO plan of yours. This season, don’t leave it on chances and assumptions, test the outcomes of your SEO measures with Google Analytics easily. I came across this article trying to find info on how to fully take advantage of the holiday season with my online retail business. Really great tips thanks for taking the time to share them!! 100% agree about keeping a focus on your blog and ditching sidebars. Liked your article. 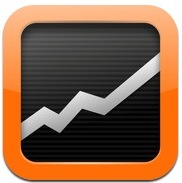 I have been using google analytics from last one year and yeah its a great freeware. Next post: Why People Use Spy Apps?